It's that time of year when bundling your child up before they head outside is a must. Super cold days means you want to wrap your child up in warm and cozy outdoor wear that is also eco-friendly. One great place to find a stylish selection of coats, hats, mittens, and scarves that are handmade and eco-friendly is Etsy. There are many great Etsy shops with a focus on sustainability - making it easy to pick the right outerwear to keep your children warm all winter long. Read on to see my top picks for sustainable outdoor clothing to keep your little one cozy this winter. This eco-friendly jacket from Norrie and Hank is upcycled from a baby blanket which means it’s super-cozy and soft. Even better, it’s reversible so it is like getting two jackets in one. Each jacket comes in a fun assortment of colors and patterns and is machine-washable. Each pair of upcycled mittens from Bouclenoire is made using upcycled felted sweaters and lined with soft flannel remnants. These mittens will keep your child’s hands cozy and warm, while adding a fun splash of color and design to their wardrobe. Each pair comes adorned with a simple applique for a little splash of cuteness. These upcycled hoothats from Freckletree will just make you smile. Each owl inspired cozy hat is made using upcycled sweaters, knits, blankets, and scarves that are pieced together. 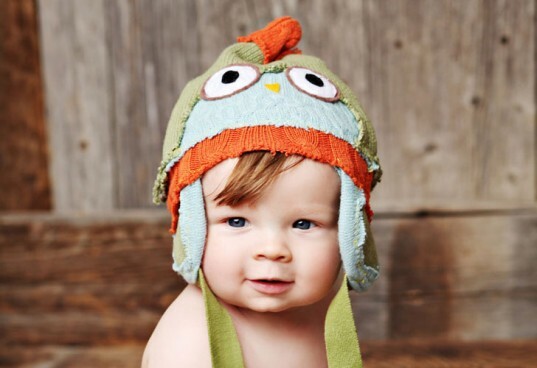 With a huge selection of colors and sizes from newborn to adult, you can find a hoothat for anyone you love. This upcycled Sailfish scarf from Thrifty Sister will make your child the talk of the town. 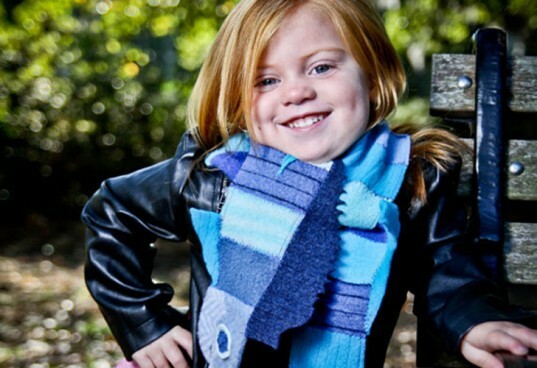 Made from upcycled felted sweaters in several shades of blue, this scarf will not only keep your child toasty but is a great conversation starter. 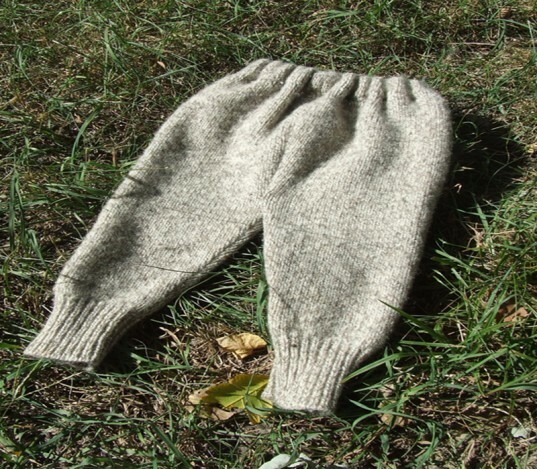 These upcycled wool pants from HollyLamaMama are made using felted wool sweaters. These cozy pants are sure to keep your little one warm all winter long and are great for protecting the knees of little crawlers. And these pants are roomy enough for little ones to move around comfortably all winter long. 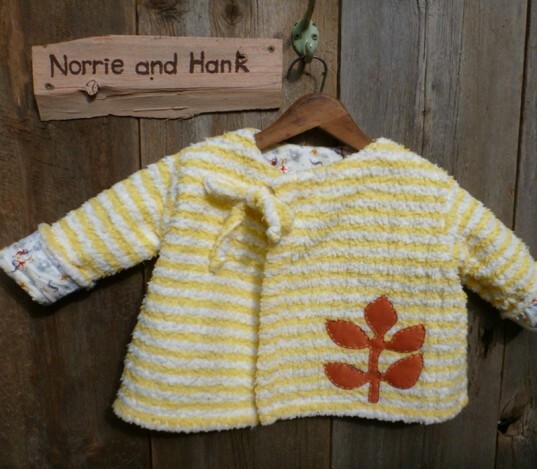 This eco-friendly jacket from Norrie and Hank is upcycled from a baby blanket which means it's super-cozy and soft. Even better, it's reversible so it is like getting two jackets in one. Each jacket comes in a fun assortment of colors and patterns and is machine-washable. 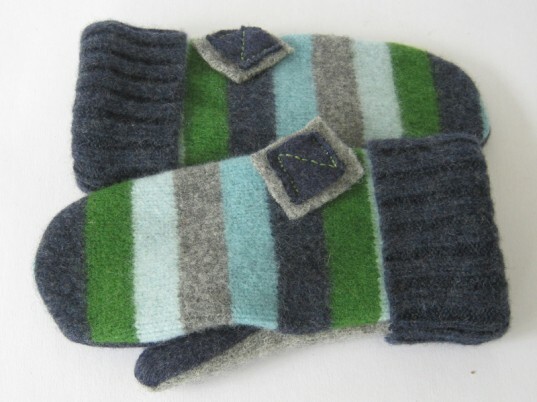 Each pair of upcycled mittens from Bouclenoire is made using upcycled felted sweaters and lined with soft flannel remnants. These mittens will keep your child's hands cozy and warm, while adding a fun splash of color and design to their wardrobe. Each pair comes adorned with a simple applique for a little splash of cuteness.